Why isn't my form WYSIWYG between how it 'previews' in JotForm vs. how it looks embedded (lightbox version) in the actual page? 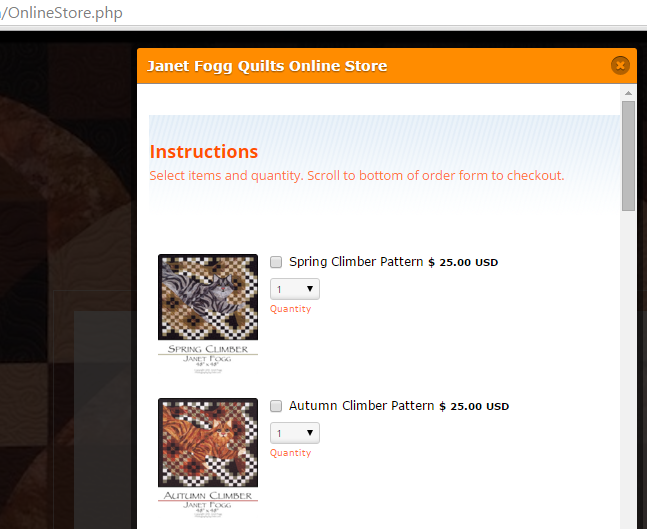 Website = http://janetfoggquilts.com/OnlineStore.php (scroll down to products and click on any "Order Form" orange button). 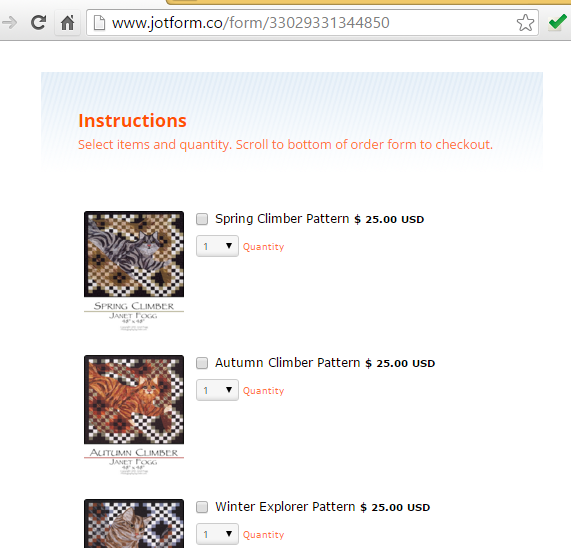 Jot form preview-- looks exactly how I want it to look, with the Payment Wizard item quantity dropdown located to the right of the image. 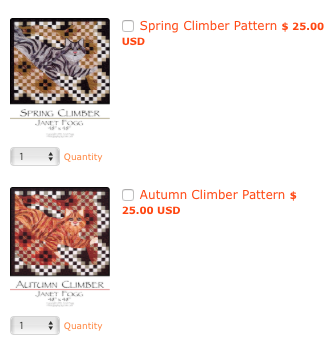 Actual webpage view....dumps the Payment Wizard quantity under the product item thumbnail image...not good. 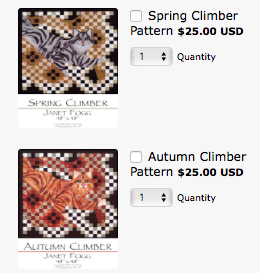 I've checked your JotForm and webpage and it seems that the form is being displayed properly at my end. Were you able to fix it? If the issue still persists at your end, please let us know the browser that you are using. We generally recommend Google Chrome or Mozilla Firefox to use with JotForm. Also, please check the webpage on a different browser and let us know. We will be happy to take a look again and provide you with necessary assistance. Thanks Kiran. I managed to resolve my problems after injecting some custom CSS into the form to achieve desirable results. That's great!! Glad to see that you were able to fix the issue on the form. Please do not hesitate to get in touch with us if you need any further assistance. We will be happy to help.